Numerical simulation is widely applied in the fluid dynamic research. Unsteady multiphase flow with high Mach and Reynolds numbers has high physical and mathematical fidelity and a special approach of its correct modeling is required. 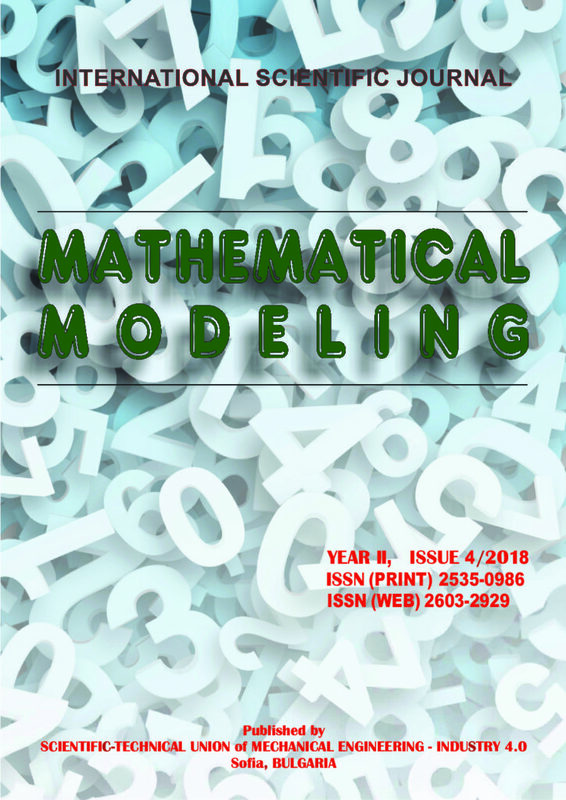 In this paper the appropriate numerical methods and special algorithms of implementation are developed for high-performance numerical modeling using the modern computational systems. The results of validation tasks and problems of practical importance are presented. In this study, the convergence behaviour of the ξ approximants for the exponantial operators is investigated on the entire complex plain. The purpose of this study is to develop an algorithm to observe how to transform a initial region on the complex plane defined by ξ approximants. In this study, emission amounts emitted from the transportation are examined by using fuzzy inference system in MATLAB. The effect of the speed and the traffic condition are taken into consideration in a fuzzy model. Air routing has become an important problem of recent years. Wide implementation of idea to use a free routing airspace (FRA) over the Europe and idea of exploiting FRA as a main airspace management resource to reduce air traffic problems revealed a necessity of a new look to a routing problem. Many previous solutions relied on predefined topology of airways and ability to exploit welldeveloped methods known in graph theory. Meanwhile the problem was current due to many factors needed to be involved in the airspace as a 3D-space: air management restrictions and different air spaces regulation rules, weather conditions, danger areas, aircraft’s characteristics, pilots’ preferences, etc. Moreover, the appearance of FRA has made it inappropriate to use previous algorithms. Most of these algorithms required a definite topology with known routing points connected with predefined edges, while the FRA may have only border points to fly into or fly out of the area and no definite edges inside. The task of constructing the route became the same difficult as obvious: any pilot can fly directly through the FRA, but the route should be built and confirmed prior to a take-off. Problem comes even more evident if considered for the unmanned flying vehicles (UFV) and the need for robots or AI systems to solve the routing problem by itselves. As a topping of the complexity of the problem, one may consider the upcoming difficulties of airspace congestion in FRA. Despite the problem is known for areas close to airports, it is still current to plan routes avoiding flights conflicts in the air and to avoid FRA high congestion. There are different researches on some particular problems and some approaches to solve these problems. Nevertheless, there is no complex problem statement yet. This research was focused on need of understanding the full scope of problems for air routing to understand the ability to build an efficient solution for the problem as a whole. The refusal of requests received in a universal automotive service workshop in the city of Rousse was investigated. The present work analyses the average monthly requests from the workshop customers. The number of the actual repairs was also determined. The work in the service have been seen as a mass service system with a non-stationary mid-month incoming stream with queries. The basic values of the system parameters were calculated under non-stationary conditions and Mat Lab application was created. After the model has been validated, a service conversion option was proposed to reduce the refusals. The proposed approach can serve as a methodology for analysing and optimizing of the activity of other universal automotive service. Some feature extraction methods suffer performance degradation in different environments. So it has become a necessity to search for new methods that perform better in different types of conditions. Therefore we can make a comparison of the new found methods to evaluate their performance and to determine which is best in multi-condition tests in order to have e more robust ASR system. This paper presents a formal and practical approach onto the short-term evaluation of the impact of the different RES power generation technologies. All these are considered stochastic and basically unreliable in the active power balance but they also seem to be an irreplaceable part of the electric power generation in the future. Here a generalized hydro-thermal coordination optimization model is presented aiming to help a day-ahead power balance impacts analysis and some further risk assessment to the EPS security and resilience. In this paper, we present the construction of Bulgarian National Diabetes Register, using pseudonymized outpatient records submitted to the Bulgarian National Health Insurance Fund. The automatic generation facilitates the construction because it does not burden any medical experts with additional paper work. The Register is a healthcare system integrating natural language processing in large scale and analytics functionalities that provide new views to the information concerning Diabetes Mellitus and diabetic patients in Bulgaria. This successful approach encouraged the authors to initiate a research programme in eHealth focused on collection and analysis of patient data, with the intention to assess the feasibility of secondary patient record use in evaluation of healthcare quality. Chemotherapy is one of the most successful methods of fighting with cancer, but like almost any kind of therapy, it has disadvantages such as severe side effects due to the high dose and/or unrestricted distribution within all body compartments. There have been numerous attempts to overcome these difficulties. The first option is to create a new active compound, what has shown to be very costly and, in many cases, ineffective. The other solution is to develop a new way to transport and release of existing drug in the organism using targeted drug delivery systems. Doxorubicin has been selected as a cytostatic substance that are already approved for medical use. The strategy is based on two features; entrapment of the active ingredient within the carrier by associating it with polymer and release it using external trigger guided by an imaging technique. The doxorubicin can be associated with heparin or enoxaparin. In order to implement the heparin/doxorubicin complex into the carrier structure, the thermodynamics of the aggregate formation need to be quantitatively described. The isothermal titration calorimetry has been used to extract the quantitative measures of its formation and stability, necessary for the designing both; pharmacological strategy and production process. To this end, the theoretical model of the binding has been developed and tested on well-defined experimental systems using heparins with different polymer lengths.